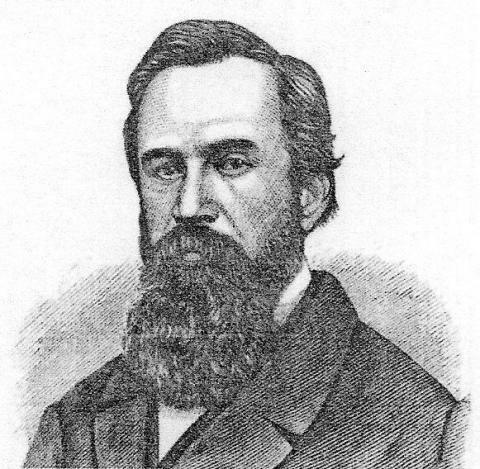 Before the outbreak of the Civil War, Christopher was a teacher and eventually the principal of the Union School, which was located in Courthouse Square. He studied law and was admitted to the bar in 1851. He established a lucrative practice, but also showed himself to be a kind and understanding man. He proved himself a friend of the poor and oppressed by representing them without concern for their ability to pay him, an early advocate of pro bono legal work before it became popular. Despite the fact that Christopher had established himself, by age 32, as an important person in Hillsdale County, he didn't hesitate to join the 10th Michigan Infantry when the Civil War broke out. He was wounded in battle and taken prisoner. At the beginning of the Civil War, both sides felt it would be a short conflict. They arranged for an on-going prisoner exchange, in which soldiers would be matched rank for rank and released from prison camps simultaneously. The paroled prisoners were charged not to take up arms against their enemy until they returned to their own regiment. In this way Christopher was able to come home in poor health, never again to return to the field of battle. Shortly after returning home Christopher was elected Probate Judge, a position he held until the day of his death.